(L-R): AMIA President Andrea Kalas, AMIA Spotlight Award recipient Dr. James Hendler, and DAS Program Chair Nick Gold. 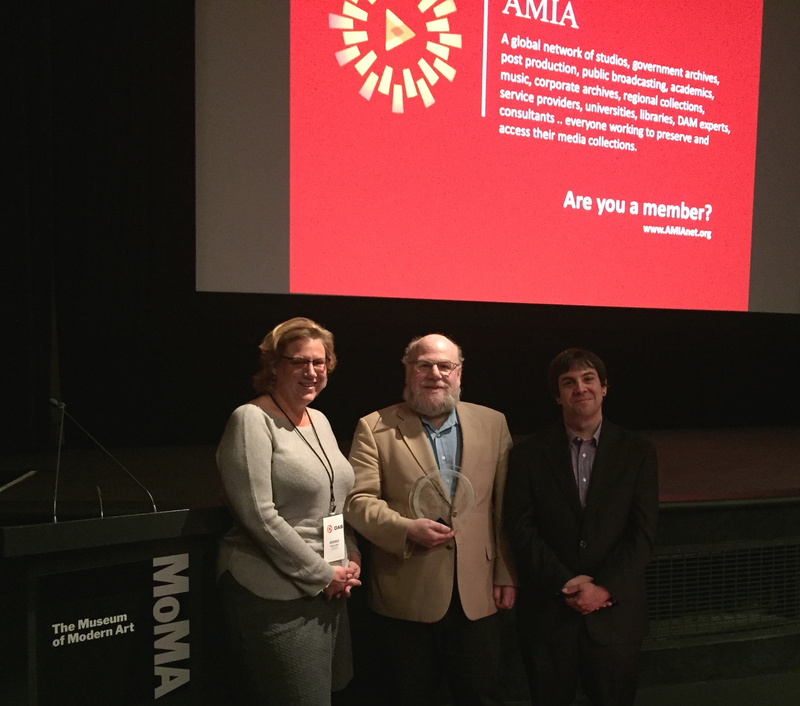 The Association of Moving Image Archivists (AMIA) presented Dr. James Hendler with the AMIA Spotlight Award on May 5 during the organization’s Digital Asset Symposium in New York. The Spotlight Award is given in recognition of significant contributions to the organization or to the field of media preservation and access. 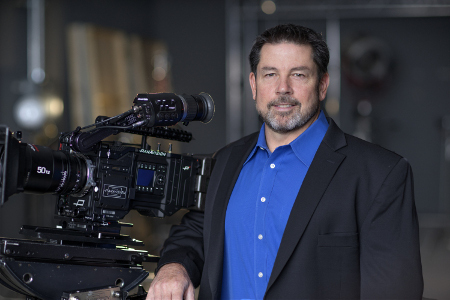 Dr. Hendler’s visionary role in creating access to diverse content through semantic technologies and machine learning led to the AMIA Board’s decision to honor his accomplishments. Dr. Hendler is the director of the Institute for Data Exploration and Applications, and the Tetherless World Professor of Computer, Web and Cognitive Sciences at Rensselaer Polytechnic Institute. He also serves as a director of the UK’s charitable Web Science Trust. A highly respected author and expert, Hendler has written over 350 books, technical papers and articles in the areas of semantic web, artificial intelligence, agent-based computing and high performance processing. His most recent book is Social Machines: The coming collision of artificial intelligence, social networking and humanity. An originator of the “semantic web,” Hendler received the 1995 Fulbright Foundation Fellowship and is a former member of the U.S. Air Force Science Advisory Board, and a Fellow of the Association for the Advancement of Artificial Intelligence, the British Computer Society, the IEEE, and the AAAS. He is also the former chief scientist of the Information Systems Office at the U.S. Defense Advanced Research Projects Agency (DARPA) and was awarded a U.S. Air Force Exceptional Civilian Service Medal in 2002. In 2012, he was one of the inaugural recipients of the Strata Conference “Big Data” awards for his work on large-scale, open government data. Hendler also serves as a columnist and associate editor of Big Data, a peer-reviewed industry journal that provides a unique forum for world-class research in this growing field. In 2013, he was appointed Open Data Advisor to New York State, and in 2015 he was selected to serve on the U.S. Homeland Security Science and Technology Advisory Committee. Last year, Hendler became a member of the National Academies Board on Research Data and Information. AMIA is a non-profit professional association established to advance the field of media archiving by fostering cooperation among individuals and organizations concerned with the acquisition, description, preservation, exhibition and use of audiovisual materials. AMIA’s members range from those who work solely with moving images to organizations where media elements are only a small part of their collection and individuals who want to protect their personal collection (home movies, small gauge or video), as well as film buffs concerned with losing our visual heritage.